Torino's long wait for a derby win against their fierce rivals goes on, and once again a number of referring decisions went against the Granata. Toro lined up as expected in a 3-5-2 formation, although Salvatore Masiello picked up an injury at left back, so Giovanni Pasquale played at left back. The away side were more adventurous than they were in the first derby of the season, and Omar El Kaddouri had a half chance on the counter attack but lifted the ball over the bar. At the other end, Carlos Tevez was causing the majority of the problems for the home side, and he forced Daniele Padelli into making a good save. A clever through ball from El Kaddouri gave Ciro Immobile the opportunity to shoot from an acute angle, but it only hit (and then broke) the side netting. Toro were continuing to create chances though, and Jasmin Kurtic may feel he could have done better from Matteo Darmian's cut back. However, on the half hour mark Juventus took the lead when Tevez received the ball twenty yards from goal before swivelling and unleashing a fierce shot past Padelli. On the stroke of half time, Torino felt aggrieved when Arturo Vidal deliberately handled the ball on the edge of the area, but the Chilean did not receive a second yellow card. The mood in the Toro camp was made even worse when Cesare Bovo blasted the resulting free kick over the bar. Toro attempted to take the game to the defending champions in the second half, but were still wary of giving Juventus the space to create further opportunities themselves. However, with ten minutes remaining Torino felt they should have had a penalty kick when Omar El Kaddouri was tripped by Andrea Pirlo in the area. Referee Nicola Rizzoli turned down the passionate appeals from the Moroccan, who was even booked for his protests, but on the replay it was clear that Torino had been denied a clear penalty. Juventus held on to another victory, but for the fourth derby in succession Torino had referring decisions go against them, despite a spirited team performance by a Granata team who gave everything. There is a very famous quote that says 'it is better to be lucky than good' and in this case, that quote is extremely apt for this game. Every single Torino fan is familiar with their terrible recent record against Juventus, no victory since 1995, and not even a goal against their rivals since 2002. However, Toro will go into Sunday's derby brimming with confidence, the second half performance against Hellas Verona on Monday was one of the finest in many a year and for once they do not have the threat of a relegation battle looming ahead of the derby. The goal scoring exploits of Alessio Cerci and Ciro Immobile have been much publicised, and given the form of these two players they will certainly feel like a goal will be a possibility. However, if Toro are to emerge victorious, the performance of the defence and goalkeeper Daniele Padelli will have to be excellent as well. Giampiero Ventura will have a big decision to make over whether he keeps faith with Nikola Maksimovic in the Toro back three, or whether Cesare Bovo who played in the game against Hellas will stay in the starting eleven. Giuseppe Vives has been reborn this season as the play maker in the Torino midfield and is likely to start with Jasmin Kurtic and Omar El Kaddouri, although don't be surprised if the more defensive option, Migjen Basha is preferred. Juventus were in action on Thursday night in the Europa League, as they laboured to a 2-0 victory over Trabzonspor, and were at times unconvincing. Juve have injury doubts over Andrea Barzagli and Giorgio Cheillini, which could mean Angelo Ogbonna will make his first appearance against Torino since leaving the club in the summer. 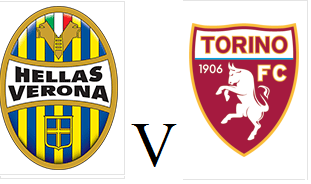 The Granata have had a good season so far, and whilst qualification for the Europa League would be an exceptional achievement, I think the majority of Toro fans would rather see a victory in the derby tomorrow evening. Torino produced a sensational second half performance to secure an excellent 3-1 victory against Hellas Verona on Monday evening. 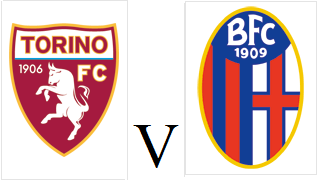 The Granata made a few changes from the side that lost to Bologna, as Cesare Bovo replaced Nikola Maksimovic in defence, whilst Jasmin Kurtic also made his first start for the club in midfield. The home side had an excellent chance to take the lead, but Vangelis Moras headed wide from a corner after Daniele Padelli had failed to collect the cross. Toro came close on the counter attack, but Salvatore Masiello blazed over the bar from Ciro Immobile's cut back. Hellas were awarded a controversial penalty ten minutes before half time when Cesare Bovo was adjudged to have pulled back Juanito Gomez at a corner. Luca Toni stepped up to take the spot kick and sent Padelli the wrong way to give the home side the lead. Torino started the second half extremely brightly and after only four minutes they were level, when Omar El Kaddouri's chipped pass found Ciro Immobile in space (as he was offside) and the striker fired home past Rafael. And moments later Toro took the lead, and El Kaddouri was once again the provider as he set up Alessio Cerci to fire a vicious left footed shot from the edge of the area. On the hour mark, Cerci returned the favour as he set up the excellent El Kaddouri who swept the ball into the bottom corner, to give Toro a two goal advantage. Padelli made a fine save from Luca Toni's header to maintain Toro's lead, and the same player also volleyed wide of the target when well placed. Toro held on for an impressive and deserved victory which will hopefully act as a much needed confidence boost ahead of the derby on Sunday. Torino will be looking to bounce back after their disappointing defeat against Bologna as they face fellow surprise package Hellas Verona on Monday evening. 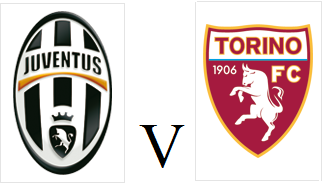 The Granata may have one eye on the derby with Juventus a week today, but will know that a victory would put them level on points with both Hellas and Parma in the battle for a place in the Europa League. Panagiotis Tachtsidis has only made one brief substitute appearance since signing in January, and he will be looking for more minutes against his former club. Newly promoted Hellas have shocked many on their return to the top flight, as the combination of Luca Toni's goals and their formidable home form has seen them become serious challengers for Europan football. However, on their last visit to the Stadio Bentegodi, Torino won the game 3-1 with Giulio Ebagua's excellent goal the highlight. Torino fell to only their second home defeat of the season on Sunday afternoon, as relegation threatened Bologna came from behind to secure a crucial victory. Toro made just the one change from the side who beat AC Milan, as Omar El Kaddouri replaced Migjen Basha in midfield. The Granata made the perfect start after only five minutes as Matteo Darmian's cross was headed in by Ciro Immobile, who scored his twelfth goal of the season. However, the home side seemed to take it easy after scoring so early and only six minutes later Bologna were level. An uncharacteristic mistake from Darmian allowed former Torino captain Rolando Bianchi to get past both Nikola Maksimovic and Kamil Glik before cutting the ball back to give Jonathan Cristaldo an easy tap in. Although Darmian was initially at fault for losing the ball, both Maksimovic, Glik and goalkeeper Padelli will feel they could have done more to prevent the goal. A poor clearance from Glik gave Cristaldo an opportunity to score his second from long range moments later, but Padelli produced a fine save. However, Padelli was unable to deal with Rene Krhin's shot from a similar distance and his poor parry gave Cristaldo another simple tap in as Bologna took a surprise lead. Toro came close to scoring an equaliser before the break when Gianluca Curci failed to deal with a cross into the box, but Kamil Glik's side footed shot from the edge of the area hit the post. Moments into the second half Torino came even closer to an equaliser, but Alessio Cerci somehow headed Emiliano Moretti's cross onto the bar from only three yards out. Cerci twice came close from free kicks to give Torino a more than deserved equaliser, but he was denied by his near namesake Curci on both occasions as Bologna held on to a vital victory. Although the players tried to deny it after the game, it did look as though Toro may have took their opponents lightly and expected the three points to come easily. Therefore, despite this being a disappointing result it was perhaps a useful reminder ahead of the derby in two weeks time that this team cannot afford to be complacent. Former Torino captain Rolando Bianchi will return to the Stadio Olimpico for the first time since leaving the Granata in the summer as his Bologna team face Toro on Sunday afternoon. Toro have been in fantastic recent form, and have lost only once in their last ten games - and almost recorded a shock victory against AC Milan last weekend. Despite only officially signing for the club yesterday, full back Marko Vesovic has been included in the squad and could make his debut. Marcelo Larrondo, who has not played for Toro since suffering an injury back in September has finally regained fitness and could play a part. Bologna have been in poor recent form, having won only once in their last twelve matches - and have only won one game away from home all season. Furthermore, captain and talisman Alessandro Diamanti will miss the game as he is on the verge of signing for Chinese side Guangzhou Evergrande. With the transfer window closing last Friday, I have finally had chance to assess the business that Torino have managed to do in the last month. Firstly Torino managed to complete the loan signing of Greek midfielder Panagiotis Tactsidis on loan from Catania. The former Roma played made his debut against Sassuolo, and will provide a younger alternative to Giuseppe Vives as the play maker in the Granata midfield. In the closing weeks of the window, Toro also managed to secure the signature of Slovenian midfielder Jasmin Kurtic on loan from Sassuolo on loan until the end of the season. As part of the deal that has brought Kurtic to Turin, experienced midfielder Matteo Brighi has joined Sassuolo on a permanent deal. Brighi made 39 appearances and scored 5 goals during his two seasons at the club, and was a reliable player whose inclusion in the starting eleven often improved the performance of the team - especially last season. However, at 32 he was no longer guaranteed a place in the starting eleven, and I would personally like to thank Matteo for his performances for the club, and wish him all the best at his new club. The most predictable departure from Torino this January was that of Danilo D'Ambrosio, who completed his long awaited move to Inter towards the end of the window. D'Ambrosio has been a key member of the squad for the past two seasons, but the full back made it clear that he would not sign an extension to his contract that expires in June, so Toro decided to cash in. For the supporters at his new club, I cannot speak highly enough of D'Ambrosio's recent performances and I believe I may have been the person who started the 'Danilo D'Ambrosio for Italy' campaign at some point last season. The former Juve Stabia defender is equally comfortable at right back or left back, and is excellent going forward, and also for someone who is only 5ft 11, he is exceptional in the air as well. However, I would still have some question marks surrounding his ability to defend and the fact that he was unable to dispose the excellent Matteo Darmian from being the regular right back for the club suggests that Giampiero Ventura was also of this opinion. Although it has yet to be officially confirmed, Torino have also completed the signing of Montenegro international Marko Vešović on a free transfer after the full back left Red Star Belgrade following a contract dispute. Torino almost secured a famous victory at the San Siro, but were left to rue a missed chance from Alexander Farnerud that would have put the Granata 2-0 up in the first half. Toro made just the one change from the side that beat Atalanta, as Migjen Basha was preferred to Omar El Kaddouri in central midfield. The home side had an early chance when Giampaolo Pazzini's deflected shot almost creeped into the top corner, but Daniele Padelli was able to tip the ball over the bar. In fact it was Torino who took the lead after seventeen minutes when Ciro Immobile broke the offside trap, and then embarrassed Milan defender Daniele Bonera to go through on goal. The former Genoa striker then proceeded to calmly place the ball past former Toro keeper Christian Abbiati. Milan were close to an immediate equaliser as Pazzini continued his individual duel with Padelli once again, but the Toro keeper was up to the task as he saved an acrobatic effort from the Italy international. Toro had an unbelievable chance to double their lead when Alessio Cerci's sublime cross with the outside of his left foot found an unmarked Alexander Farnerud, but the Swede somehow managed to head over the bar from close range. Padelli, who has been the subject of some criticism this season, was having a fine match in the Torino goal, and once again he produced an excellent save, this time to deny Kaka's long range effort. However four minutes into the second half, Milan did get their equaliser from an unlikely source when Adil Rami's long range shot took a slight deflection to rocket into the top corner of Padelli's net. After the break, the Granata were unable to threaten as much as they did in the first half, although Alessio Cerci did go close with a free kick. In the end, neither side could find a winner, and Torino were left to wonder what might have been had Farnerud managed to convert his excellent chance mid-way through the first half. However, a point at the San Siro was still a good result, and Toro's excellent recent form has seen them only lose once in the last ten matches.